​Manchester City face Championship outfit Swansea City in the quarter-finals of the FA Cup this Saturday. The hosts have had a disappointing season since being relegated from the top flight in May and currently occupy 15th position, a far cry from their preseason ambition of promotion straight back to the Premier League. City go in to the match in high spirits having demolished Schalke 7-0 in the second-leg of their Champions League last-16 tie on Tuesday night. 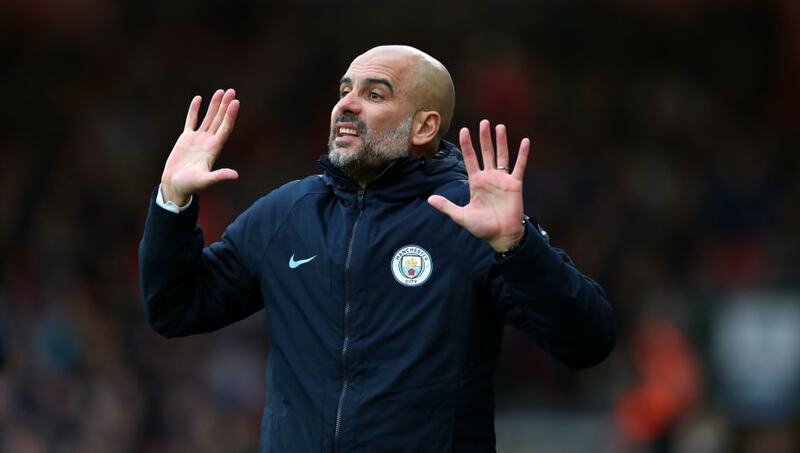 It is just one of many eye-watering results that Pep Guardiola's team have recorded in 2019, a year that promises so much for the Spaniard and his players. They remain in the hunt for an unprecedented quadruple, but must find a way past Saturday's opponents if they are to do the unthinkable. Check out 90min's preview of the cup clash below. Guardiola was boosted by the return of first choice centre-pack pairing John Stones and Aymeric Laporte in the week. However, the Spaniard will be without two key figures in the form of Fernandinho and Kevin De Bruyne. The Brazilian continues to recover from a muscular injury he picked up during the League Cup final triumph over Chelsea, though he should be back before the end of the month. The Belgian's situation is less favourable; a hamstring strain keeps him sidelined, with no return date having been given. Claudio Bravo is the only other City absentee. The goalkeeper has been missing since August after damaging knee ligaments and, though he has now resumed training, will likely be given more time to fully recuperate. Graham Potter has a full compliment of players to choose from, with no injuries or suspensions hindering his selection for the visit of the Premier League leaders. Swansea City Nordfeldt; Roberts, van der Hoorn, Carter-Vickers, Naughton; Fulton, Grimes, Dyer, Celina, Routledge; McBurnie. Manchester City Ederson; Danilo, Stones, Otamendi, Mendy; Gundogan, B. Silva, Foden; Mahrez, Jesus, Sane. The Etihad side have dominated recent match-ups between these two, securing victories in 12 of the 15 clashes since the Swans were promoted in 2011. The most recent of those came in April last year, with Guardiola's players drubbing their opponents 5-0. De Bruyne, David Silva, Raheem Sterling, Gabriel Jesus and Bernardo Silva all got on the scoresheet as the side marched on towards a third Premier League title. The hosts have only beaten City once this century, Scott Sinclair's penalty proving the difference at the Liberty Stadium in early 2012. You have to go back nearly three decades to find their previous victory against the Manchester giants, a 4-1 win at Vetch Field. Swansea have won this fixture just seven times in their entire history, going down on 24 occasions and seeing things end all square in four encounters. It has been a testing time of late for Potter, who has witnessed his recruits lose in three of their previous four Championship outings. However, two of those came against Leeds United and Norwich City, the sides currently occupying the promotion spots in the division. They put in an impressive display in the last round of the competition, knocking Brentford out with a straightforward 4-1 win. The visitors have had a contrasting few weeks, with the League Cup triumph just one of many highlights this calendar year. City recently regained top spot in the Premier League, capitalising on Liverpool's inconsistency to overtake the Reds. That turnaround has largely been the result of the champions' stellar run of form; they have lot just once in 2019 in all competitions and now find themselves on a run of ten successive victories. The Swans have looked out of sorts this year, failing to find any stability in a hectic and challenging league. Recent showings have done nothing to lift the mood in south Wales and they will not be expecting much from this match. City's squad has been stretched by their ever-growing fixture list, with a number of players succumbing to injury in recent weeks. However, they possess the depth and quality to manage such issues. The hosts have not fared well in the past against the Citizens and will struggle to buck that trend on Saturday. Their recent form looks ominous and Guardiola's side should book their semi-final spot at a canter.